The F-150 already makes its presence known, and the Raptor makes sure you never forget it. Looking more like a pickup truck out of the future than one you can currently get right now, the Raptor is here for all those who want inimitable style and off-road utility. That’s right, this isn’t just a stylish truck with no function, it’s one of the most capable pickup trucks on the market for every rural environment Alberta can throw at you. Read on, from us at Team Ford, and get acquainted with this one-of-a-kind F-150 trim, the Raptor. The unique Ford F-150 Raptor deserves a unique engine system, and that’s exactly what it gets! The Raptor gets all of its thrilling power out of a 3.5L EcoBoost engine, with 450 horsepower and 510 lb-ft of torque at your disposal. That’s not all out of this beast, exclusive FOX Live Valve monotube shocks automatically adjust your vehicle’s engine to its surroundings with continuously variable compression dampening. There’s no terrain you won’t be able to conquer in this top tier F-150 trim. A Terrain Management System™ provides you with an exclusive amount of seven drive modes, covering everything from snow to slippery to rock crawl. The Raptor gives the F-150 a bit of a design twist, and you’ll notice how it’s different on your first look. Don’t worry, it doesn’t get away with any of the classic F-150 design tenets that have made it as legendary as it is, the vehicle just adds a unique flair to what is already great. Most noticeably, is the modified grille with its special lettering. The “FORD” letters on the grille are featured in a unique block design, complete with illuminated marker lights. This fierce look sets the tone for the entire vehicle and what it is capable of as an F-150 trim that demands and delivers the best. The Raptor is just one of many trims of the classic F-150. If you love this new, modified style of the F-150, the Raptor can easily be yours, but if not, no worries! All of the classic F-150 model trims are still available for all you purists out there.  Contact us at Team Ford with any questions during your F-150 shopping.